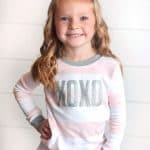 These five Valentine’s Day Pajama Designs for your Cricut are such a cute and fun way to celebrate Valentine’s Day all month long!! 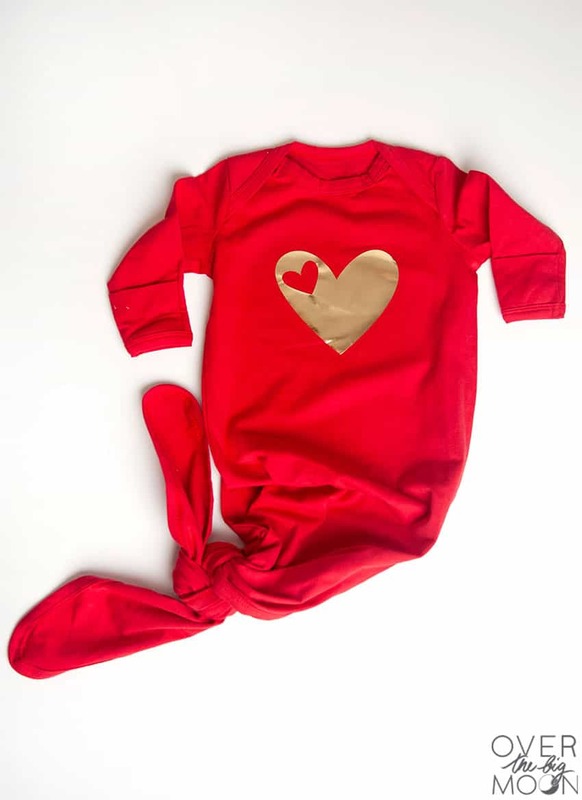 They are perfect for onesies, pajamas or you could even put them on a t-shirt! 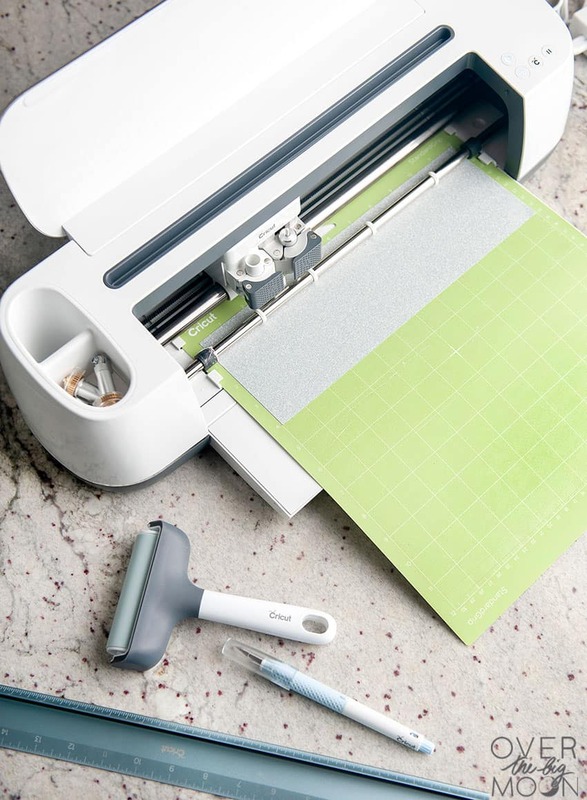 Plus, learn more about weeding on the Cricut BrightPad! 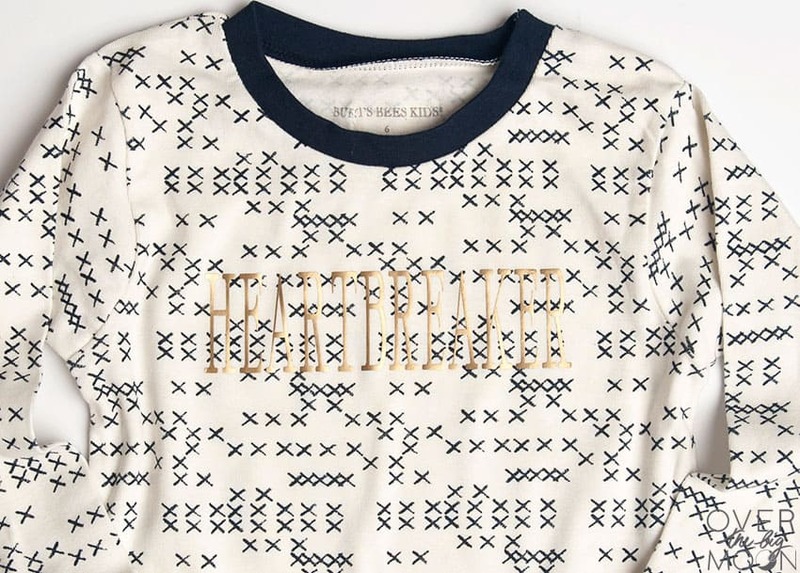 One of my favorite ways to celebrate holidays is to get my kids holiday themed pajamas! When my boys were little I would do it for every single holiday! Now they’re older and don’t really wear pajamas, so Dylan gets a little spoiled in this area! 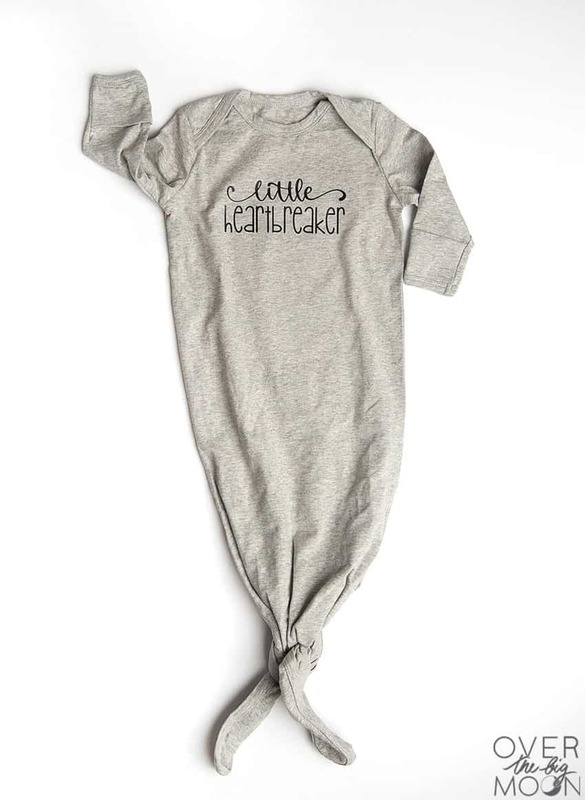 I also had a rush of friends that had babies the last few months, so I thought it would be fun to make them some fun Knotted Nightgowns for their babies! 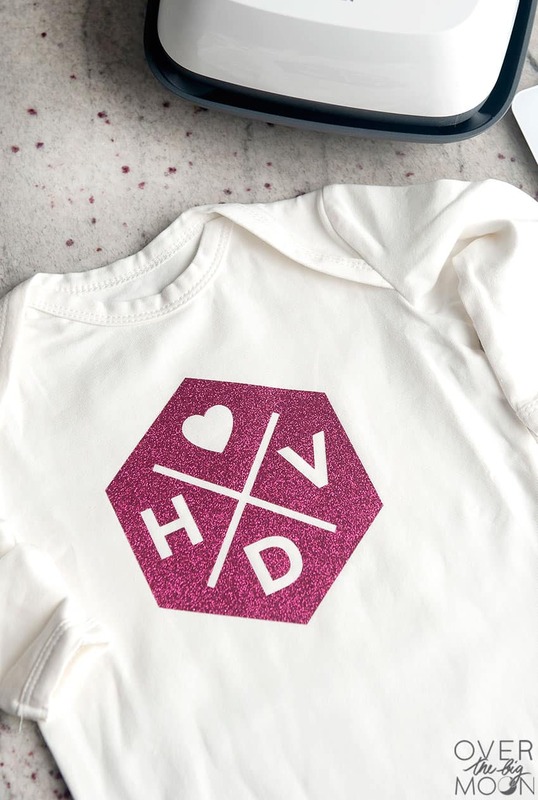 Iron On – I used Glitter, Foil and Everyday Iron On on these! 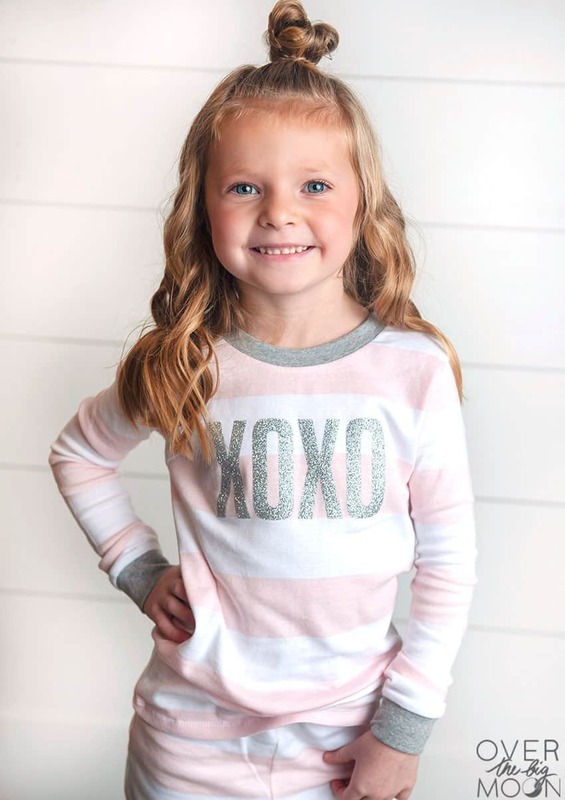 Pajamas – my favorite are these Burt’s Bee Unisex Pajamas! 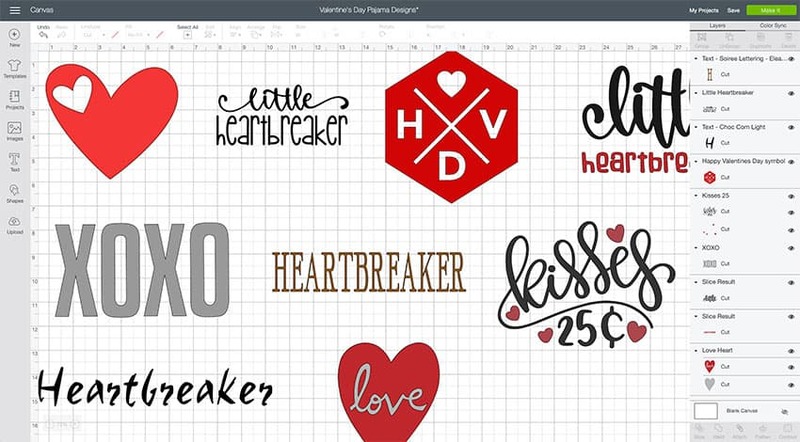 Start by opening the Valentine’s Day Pajama Design Space File HERE! When you open the file, all 9 of design choices will show up. 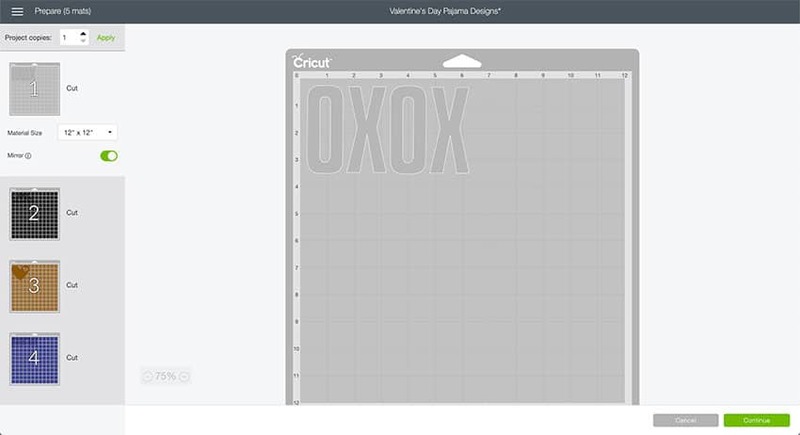 Any of the designs that you don’t want to use, can either be deleted or you can hide the design on the right sidebar. 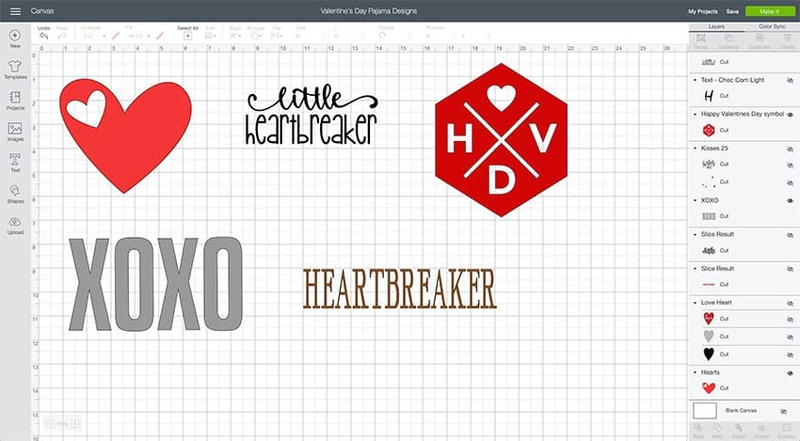 Then resize the designs that you want to use, to the size you want. Once all your changes have been made, hit ‘MAKE IT’ in the top right hand corner. Then select your machine from the drop down menu and select your material type. For my designs, I was using 3 different types of Iron On. So, before loading each mat, make sure to change the material type if needed! 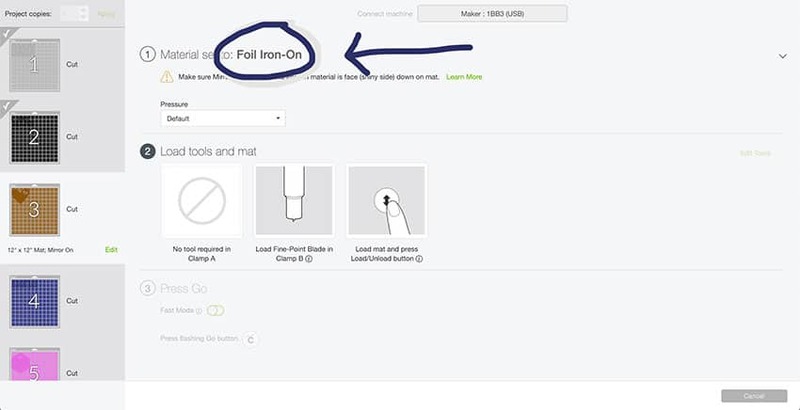 Cut your Iron On to size and attach it to a Standard Mat. 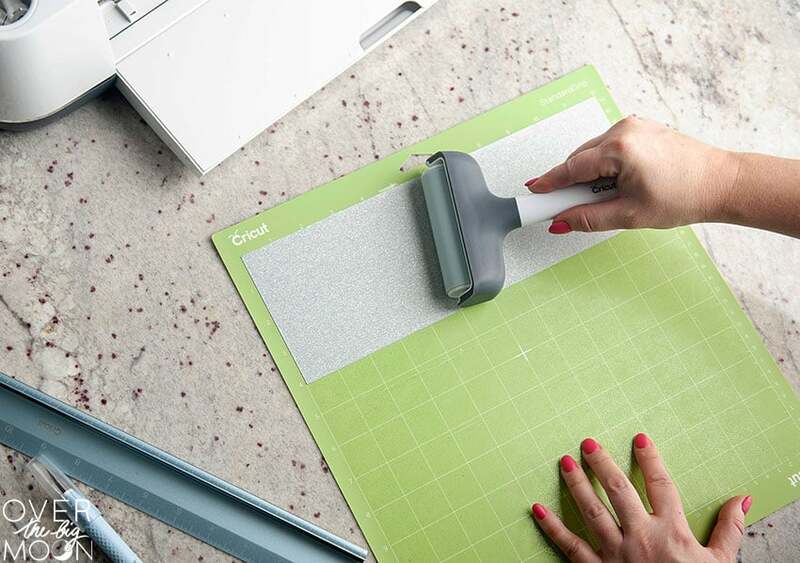 I always use my brayer when applying materials to my Cricut mat. Then load the mat into your machine and press the ‘C’ button. Then it’s time to weed your designs! 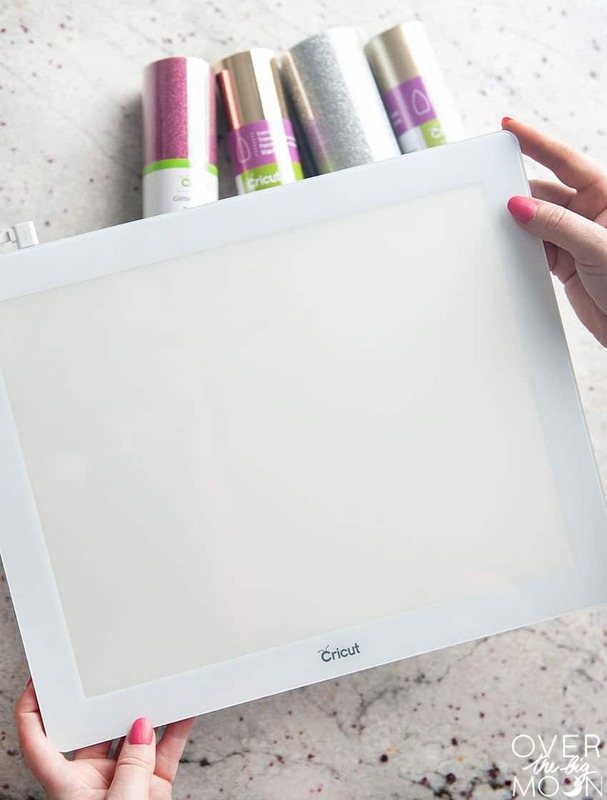 WHAT IS THE CRICUT BRIGHTPAD? If you haven’t heard of the BrightPad, then it’s time to learn about it! It is a GAME CHANGER when it comes to weeding Iron On and Vinyl. Especially Glitter Iron On! It’s my least favorite Iron On type to weed! The BrightPad is amazing friends! It barely gets put away from my craft table, because I use it all the time! It’s thin, but SUPER durable! My kids use it all the time and there’s no scratches or dents on it. I’ve even witnessed 2 of my kids dropping it on our wood floors! 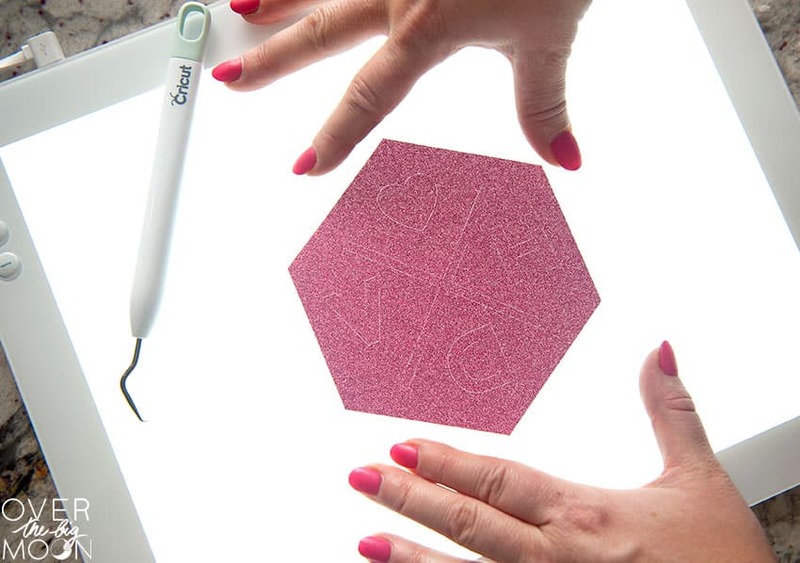 The surface is 9″x11.5″ and evenly illuminates, making it my favorite tool when weeding Iron On or Vinyl projects. It can adjust to 5 different brightness settings and is powered by a thin 6 foot power cord. 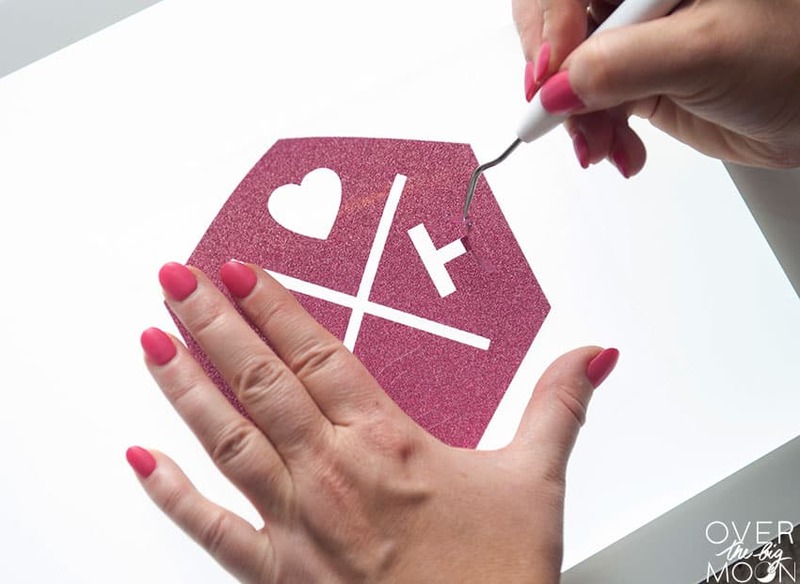 Below is a design I cut out on Pink Glitter Iron On. As you can see, you can sort of see that the design has been cut, but it’s really hard to make out the cut lines. Which makes it difficult to weed and I’ve even ruined designs by wedding the wrong area or damaging the Iron On. 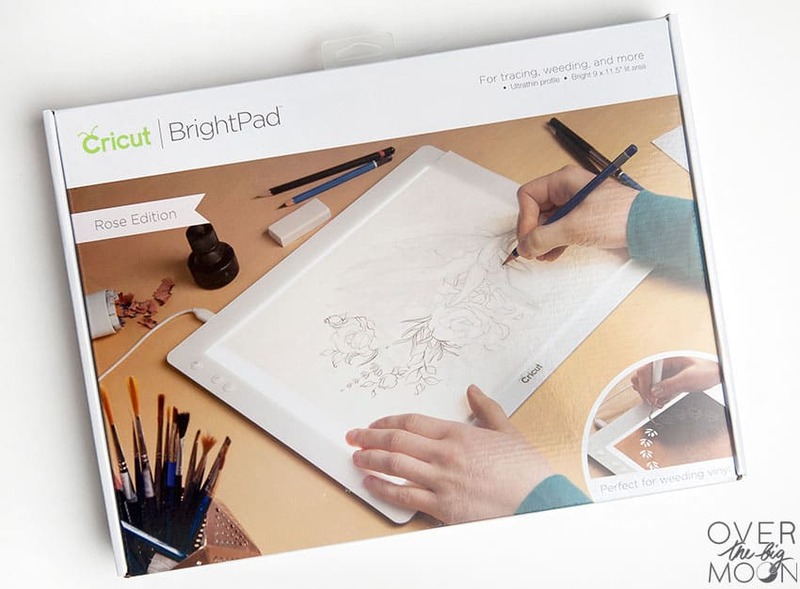 Now power on that BrightPad! Look at the difference! You can perfectly see the cut lines and it makes it so much easier to know where to weed! Amazing, right? 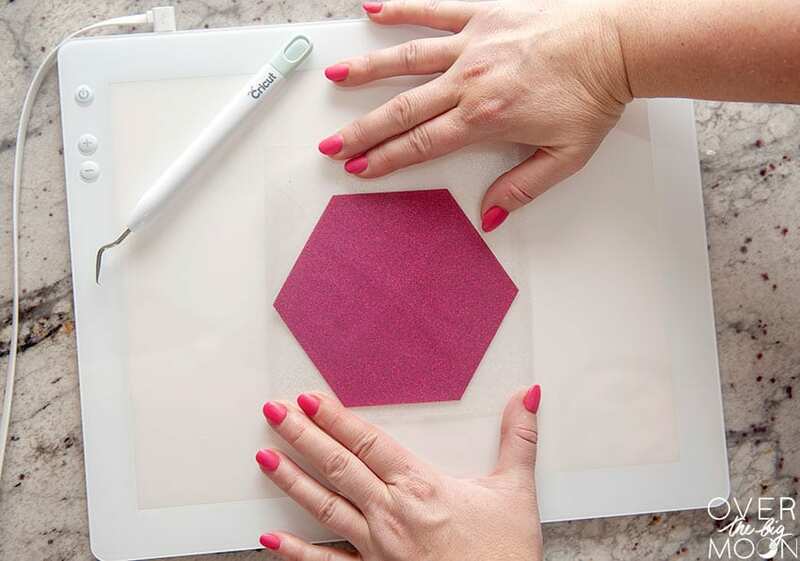 Not only do I use it all the time , but my kids use it for all sorts of other activities — like tracing, learning, fine motor activities, etc! WHAT’S THE BEST WAY TO APPLY IRON ON VINYL? Once all your designs are weeded, then it’s time to apply them. 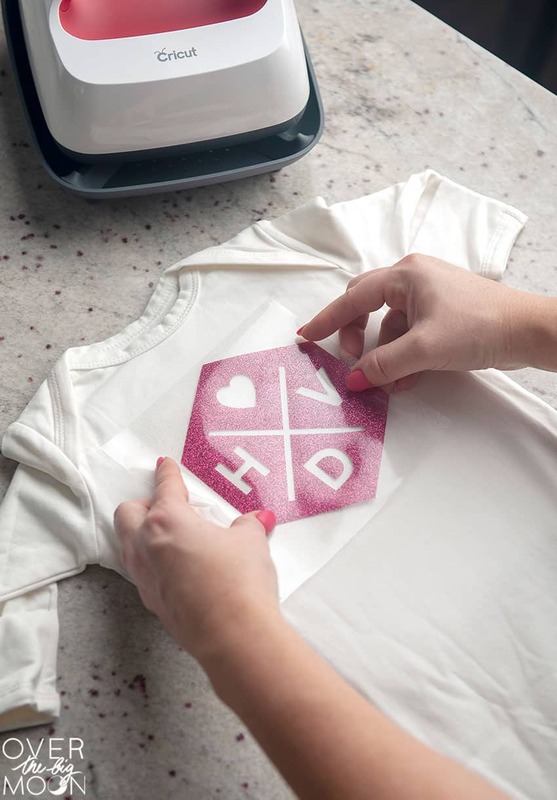 Hands down the best way to apply Iron On vinyl is to use a EasyPress 2! If you don’t already know about the EasyPress 2, then I’d for sure check this post on Everything You Need to Know about the Easy Press 2. You may also find value in my article, Cricut EasyPress 2 Questions ANSWERED and Tips for Using Iron On Vinyl! The first thing you’re going to want to do is reference the EasyPress Heat Settings Guide! It will help you know what temperature to set your EasyPress 2 to. The guide takes into account the type of Iron On that you’re using, as well as the type of material that you’re apply the Iron On onto. It will also give you directions on how long to apply heat for! So, basically all the guess work is gone! Preheat the area that you’ll be placing your design and then place your design! I love to use a ruler to measure my surface to make sure it’s centered! Then follow the temperature and time suggestions that you received. And viola! You’re all done! Repeat for all your designs! Remember to go and check the temperature and time suggestions for each type of Iron On! 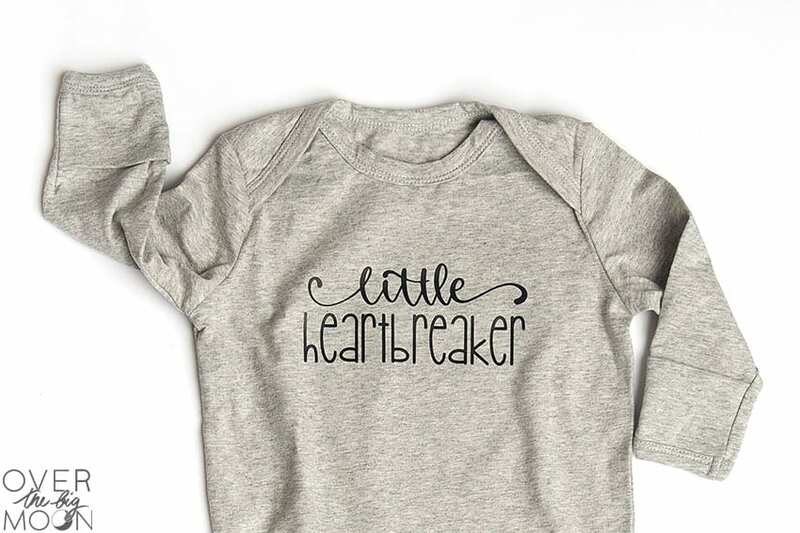 This Heartbreaker design looks so much better in real life guys! You can totally read it better, but it’s not overwhelming! I love how subtle it is! I’m so excited about how they all turned out! Love all of these! Making several this weekend. I’m so glad! Happy Valentine’s Day!